“Kathy” was a beloved teacher who had overcome alcoholism years prior to taking a job at an elementary school — until an old DUI-related mugshot of hers surfaced and began to circulate. In no time, Kathy had lost her job and had to start looking for work in an entirely new field. Kathy’s story illustrates how, in the professional world, an addiction history can follow you around like a ball and chain, regardless of how long you’ve been sober. The same thing could happen to any job seeker or employee with an addiction history. Consider, for example, that fateful moment in a job interview when a prospective employer asks about the suspicious gap in your resume. Do you tell them about rehab? Do you tell them you were in active addiction but have since gotten sober? What can you possibly say that won’t hurt your chances of getting the job? These situations happen more often than you might think, thanks to the persistent stigma surrounding addiction and a general lack of understanding that substance use disorders are diseases just like depression or diabetes. In particular, familiarize yourself with the Americans With Disabilities Act (ADA) and Family and Medical Leave Act (FMLA). The ADA offers some key protections to job seekers and employees who may have once struggled with addiction but are now clean. 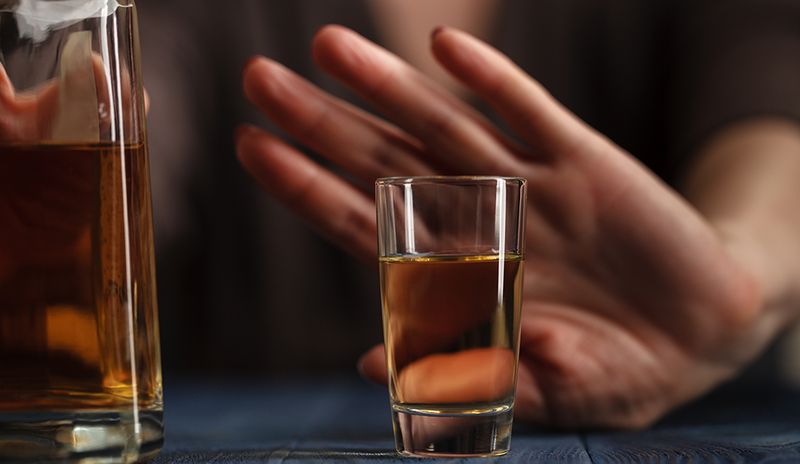 Specifically, an alcoholic is generally considered a person with a disability under the ADA, whereas someone addicted to drugs enjoys protection under the ADA only if they are not currently using illegal drugs. Bear in mind that “not currently using” means not having used drugs in a sufficiently long period of time. The ADA also makes some “reasonable accommodations” for people in recovery, including a modified work schedule so they can attend Alcoholics Anonymous or other 12-step meetings. For job seekers, the ADA specifies that a prospective employer may inquire about your current use of alcohol or illegal drugs, but they cannot ask you directly whether you are a drug abuser or alcoholic, nor can they ask whether you’ve ever gone to drug or alcohol rehab. Only after issuing a conditional offer of employment can an employer ask you any question they want regarding past or present drug or alcohol use, as long as they ask this question of every prospective employee. They also cannot use this information to exclude you from employment if you have a disability. The FMLA is another important piece of legislation worth knowing for anyone in recovery who may be struggling with relapse. The FMLA grants employees a job-protected leave of absence should they need inpatient rehab. The bill’s provisions don’t apply to all employers everywhere, however, so be sure to consult your employee manual to determine whether your employer offers this benefit. In addition to FMLA provisions, some states have laws that require employers to protect your job while you seek treatment for a drug or alcohol problem. For example, in New Jersey, Chapter 69 of the New Jersey state law 2011 creates a “safe workplace” that allows employees who work for a public entity to get the care they need without fear of reprisals. This is especially relevant if you’re a public employee, in which case you may be bound by a reporting requirement if you receive a DUI or felony. For example, if you’re a teacher and you get a DUI while employed as a teacher, you must report that DUI to your superintendent within 10 days. Not all treatment providers offer this service, but when you need rehab and are worried about your job security, this added benefit can be invaluable. Let’s return then to the example I cited above: You’re in a job interview and a prospective employer has asked you about the suspiciously long gap in your resume. What do you do? I recommend honesty. You can say something as simple as, “I was struggling with a medical condition, and the medical condition required my full attention.” You don’t need to name the condition, given the employer’s limitations on what they can and cannot ask you in a job interview. Can You Be Fired for a Past DUI? As for getting fired for a past DUI that was years ago? That’s not legally kosher, assuming you remain successfully in sobriety, even if you’re a public employee like Kathy was. You technically cannot be fired for a history of addiction, past DUIs included. You can, however, be disciplined and/or fired if you commit a felony or get a DUI after you take a job as a public employee. The moral of the story: Getting help for an addiction as soon as possible is the very best way to get and keep a job. Janet Gerhard is director of public affairs for FHE Health. Janet Gerhard is director of public affairs for FHE Health, a nationally recognized addiction and mental health treatment provider. Janet is regularly invited to speak to workforce gatherings about addiction-related topics.